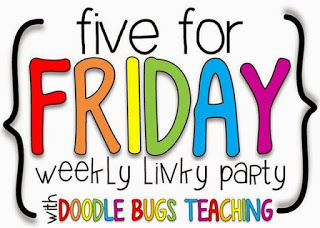 Five for Friday! This week the blog has been really quiet and for good reasons. I've barely been home! So today before I head out the door again, I wanted to jump in and share a little about what I've been up to this past week. The teachers at school decided to have a paint night. I've never done anything like that before, but I'm so happy that I went out of my comfort zone and attended. One of the parents from school is an artist, she kicked off our Art Docent program at school for the kids, and she graciously donated her time to teach 6 teachers how to paint. This week I've been at the CA NGSS Early Implementers conference. It's been eye opening to say the least. Not exactly what I expected, but in a good way. I've been learning about the new standards, etc. Every day they give us a functional gift... a seat cushion, a water bottle, a tshirt, a magnifying glass, a prism... I have loved my science swag! I better make mention (since I know they read the blog), that my Mom, Dad, Sister, and Husband have been wonderful taking care of the boys as I've been gone for 10 hours a day. Best present knowing that family comes through when the going gets tough! 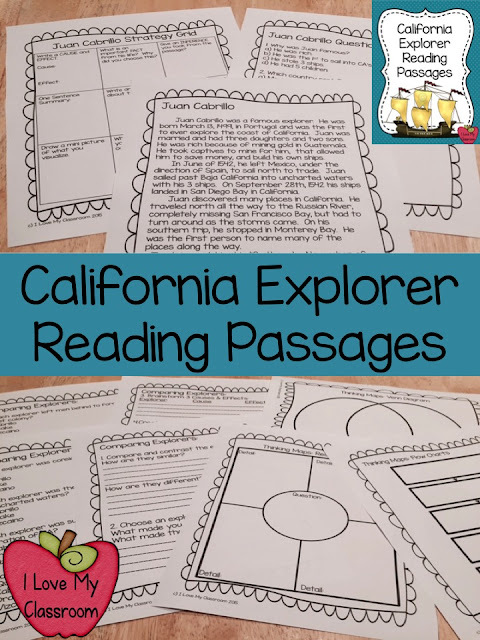 One night this week my oldest decided he wanted to try creating his own teacher resources in order to (get this), "Help other kids learn how to understand what they read." Yep, my kid. He did it all himself. Borders, cover image, text boxes, tables, clip art, planning it out beforehand on paper, etc. So proud! He wants to add more pages before I show you the end product. Like I mentioned - this week has been filled with science - experiments and what not. ...and yesterday I spent the entire day in a Sacramento church first listening to a pipe organ, and then learning about sound and light waves in a community room. It was interesting! I also wanted to share that my 2 Donors Choose projects were funded this summer. I'm so happy! Thank you so much to the donors that helped my class. I really appreciate you! Well, take a minute to feel my pain. I had to be awake way too early to go meet up with my teaching friends way too early, to travel an hour away way too early, to arrive at 7:30 am for an All Day Long, All Week LONG workshop. 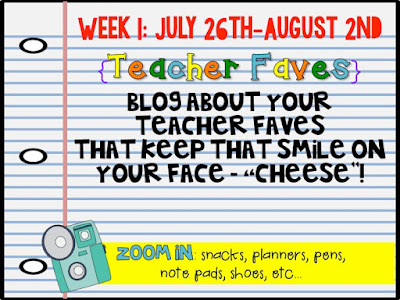 I'm hopeful there isn't as much traffic as I'm expecting, and I'm hopeful that I won't be bored out of my mind, and I'm hopeful that I will actually learn something that will help me as a teacher. Did I mention that this was optional? Yep! Way back in March this sounded like a good idea, but now that it's the last week of summer I'm not so sure. :) New science standards, here we come! Linking up on this fine Monday with Tara to share what I've been up to this past week. I made up my markers and erasers this past week. All 132 of them. Just those little dollar tree puffs glued onto the top of the marker to act as the eraser. It works! I also didn't burn myself with the hot glue, which was a win all by itself. 1. They do last for the length of the marker - My class just needs to have a talk about proper etiquette. 2. I choose to glue onto the cap so that when the cap falls on the ground the neon puff makes it easily able to be seen. 3. I know the cap can't go to the back of the marker because of the puff, but honestly my class never puts the caps on the back anyway. This way they write with one hand, hold the eraser with the other, and when done they snap the cap back on. When the washi tape was pulled out I also tagged my popsicle sticks. I wrote my preliminary class list on them (because even if a couple of kids change, I will still have the majority complete). The blue tape are boys, the green are girls. I will add another layer of colored tape when I learn more about my kids so they will still look "random" but they aren't that random. Yes, it's sneaky, but it helps me meet their needs. I also laminated a ton and prepped them for the journey back to the classroom, went through half my brand new package of laminating pouches... Isn't that always the life?!? Ready for a fun assignment? 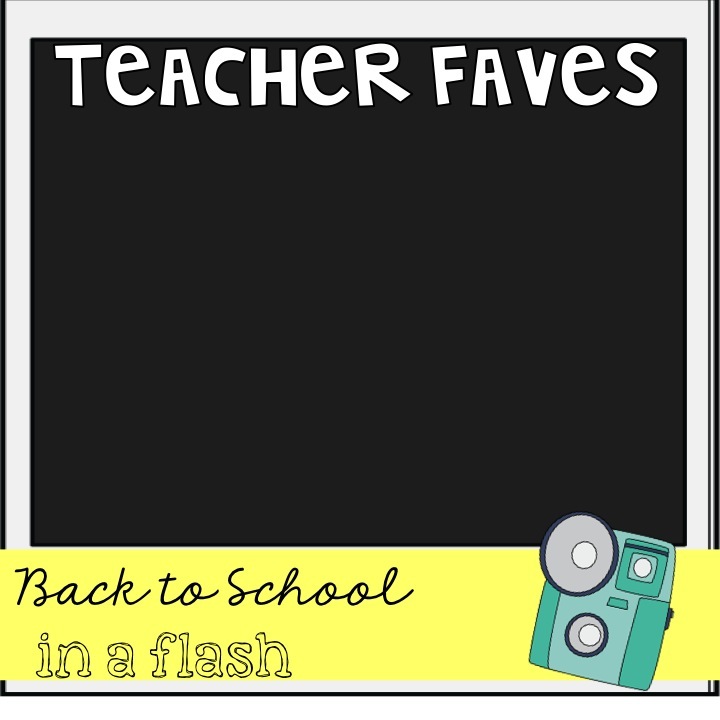 I'm linking up with Fancy Free in 4th, Ramona Recommends, and Not So Wimpy Teacher to share my absolute favorite things that make me smile. 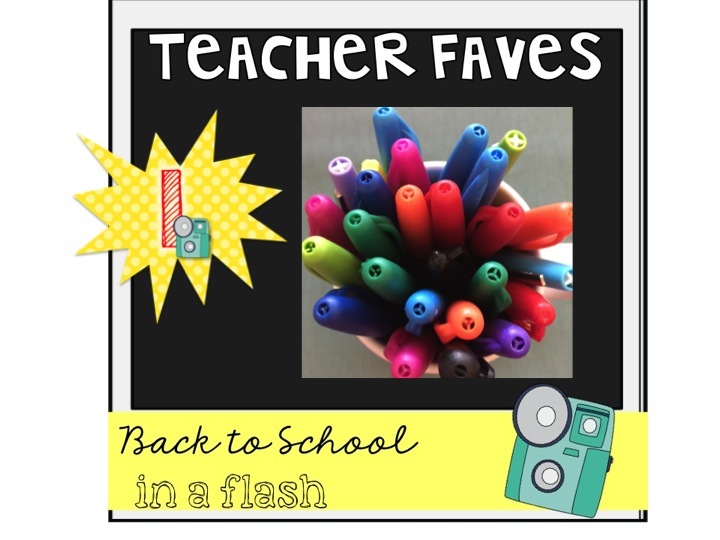 I have to talk about my obsession with teacher pens. A couple years ago my blogging friends started sharing their passion for Papermate Flair pens and the Papermate InkJoy pens. I love both. For correcting I use the InkJoy ones. For writing quick notes, I use the InkJoy. For writing my to do lists, or updating my calendar, or things that I want to save for a long time - then I use my Flair. Last year I splurged on an Erin Condren Lesson Planner and this year I bought another one. It made me happy, kept me organized, and I actually got excited to plan out the weeks. :) This year I chose the Favorite things option, and was able to personalize the front. 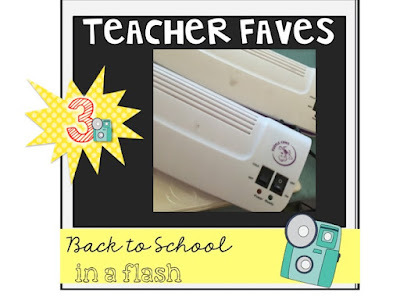 I have 2 Purple Cow laminators. 4 years ago I bought my first one from Costco for $20, and then I wanted one to have at home as well. My parents gave me my 2nd for a birthday present the next year. Having a full stack of laminating pouches also makes me smile. I used to print a bunch of stuff through my normal printer, and then a school friend clued me in on getting a personal copier for my house. Best decision ever! This was $100 a couple of years ago and it came with a cartridge. 4,000 sheets to a cartridge... the savings add up! The school machine has always been 6 cents a copy, this way I can make copies for super cheap at home. 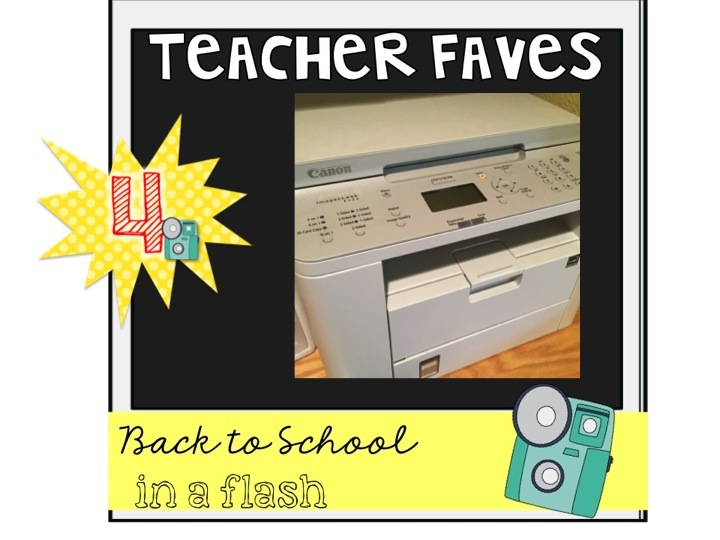 It's been a way for me to save my classroom budget by just buying replacement off brand cartridges. Last favorite for today - my Thirty One bags. 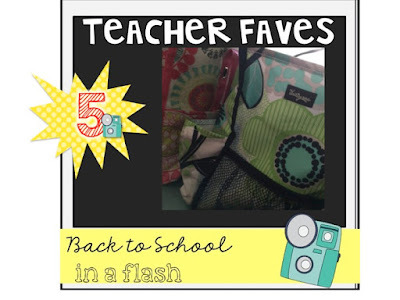 Last summer I saw a FB post from Teaching in Room 6 about best teaching bags and all these people kept mentioning the Organizing Ziptop Tote from Thirty One. 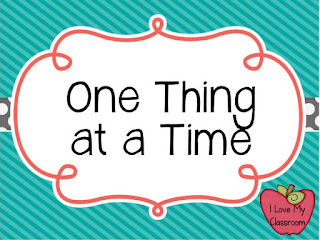 I LOVE Thirty One but I hadn't thought of it for school before. I bought my pink one last August with a matching water bottle cooler and a key fob (that I store my flash drive on). Then when I went shopping for a new wallet, I ended up getting my blue one for only $8! They were having a sale and it was the best deal ever. I still mainly use my pink one, but my blue one is for those days that I have to haul in project materials, or bring home more papers to grade. Oh, grading! Last summer in the Target Dollar Spot (for $3) they had a portable file folder metal carrier with handles that fit perfectly inside this tote. It's inside my pink bag, and I use it to hold hanging file folders with different labels (Spelling, Math, Reading, etc). It helps me keep things organized to bring home. Want to link up with YOUR Favorites? Just grab this button, add your own images, and link up below! Nothing screams a Friday in Summer like Data Folders! Right? Today was a big day. I ended up opening up a ream of copy paper and setting up camp by my personal copy machine. 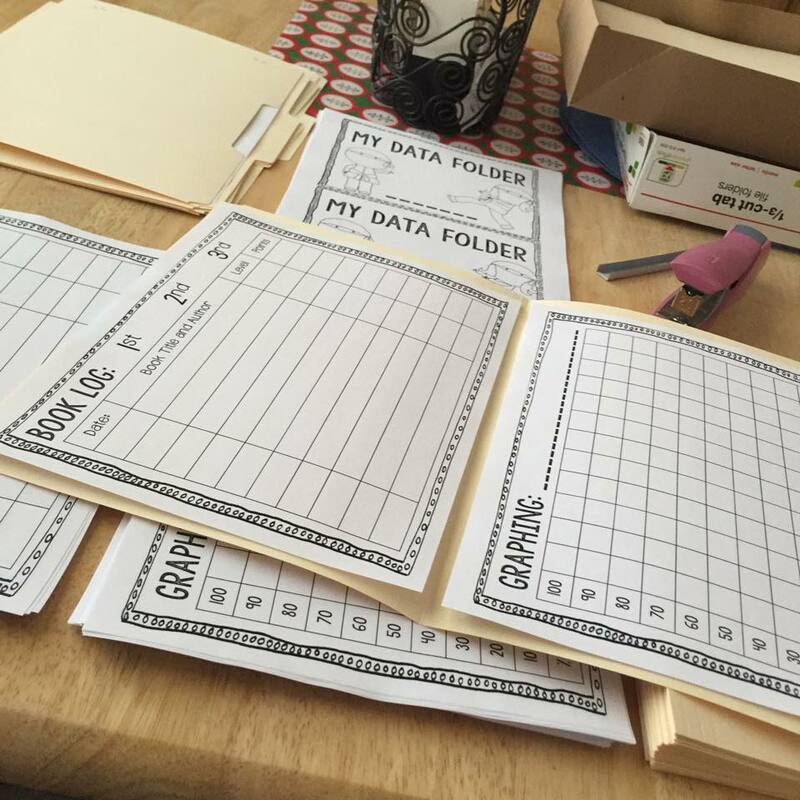 I printed off my Back to School Packet, my first week of school copies, and the pages for my students' Data Folders. Then it was time to staple them. I took this picture (as I was procrastinating), posted it on IG and was asked where they could get it and specifically what I do with them... so it's now on Google Docs. For years the kids have recorded their personal assessment scores on filler paper in their binders. It's a way to keep them in the loop of how they are doing, and helping them to make goals for the future. 4th grade is the first year of letter grades in my district, so my goal is to help them understand what those numbers mean. Last year I decided to post our class averages of the different assessments on a Data Wall. Remember this? Well it worked wonders this past year. No one knew each other's exact scores, but as a class we were trying to bump up our comprehension levels each week. If our average was 80% one week, the next we were aiming for higher. 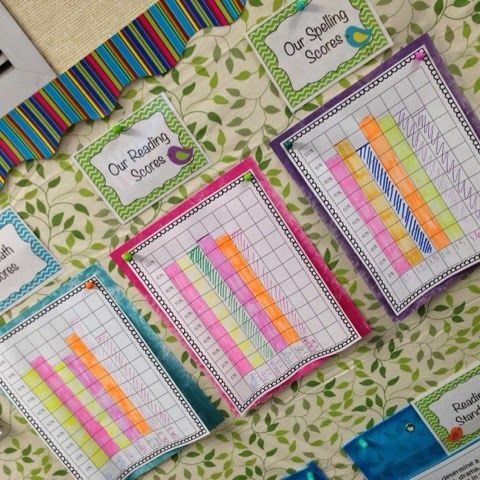 The kids could take their personal score from their binder paper, and compare it to the class average to see if they helped bump the class up, or if they need to keep reviewing. Both the binder paper and the data wall made for helpful student conferences when it was time to talk goals. This year I'm not using binders in my classroom. I just don't have the room to store them and my supply budget needs to be used for other things... so I moved the personal data sheets to a file folder that I can pass out when it's time to update, and collect for conferences. The cover I printed 2 per sheet (since that's what I do), and the kids will glue that on when it's time to personalize the folder. The folders are ready to go for 1st trimester. Inside has one sheet on the left for a Book Log, and 2 sheets on the right for graphing their ELA and Math Scores. That's it. That's all I'm having them record. Math and Reading Comprehension. I guess you could have them record other subjects too, but I'm simplifying to start out the year. Maybe I'll add in another one or two subjects during the 2nd and 3rd trimester.... so many options. My school uses AR tests to help with comprehension too. 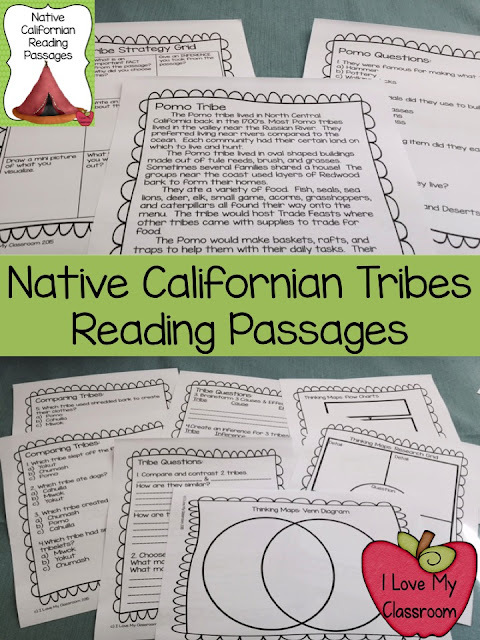 The Book Log is to help keep the kids accountable. Our school gives prizes for specific point amounts. Any other questions? I hope this helps you! I'm still in mommy mode around here, only today my boys are driving me nuts. I tried to go grocery shopping with them. Tried being the key word. We were out of milk. Ended up seeing someone that we haven't seen for a long time... and my cute, adorable children turned into monsters. It was a moment that I wanted to hide. I remembered why I like grocery shopping by myself. 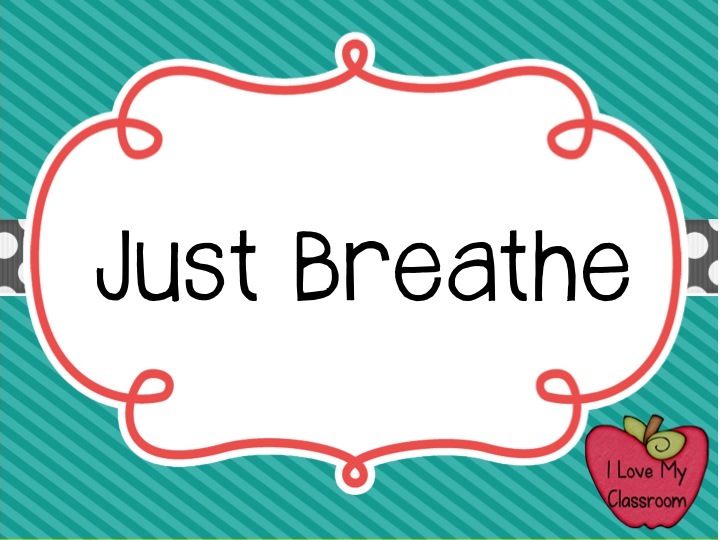 When we got home the boys had to spend some quality time in their rooms, and I just breathed. 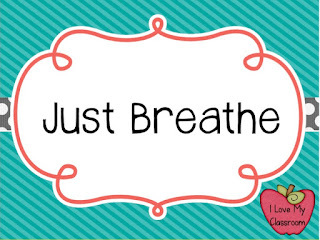 Have you breathed today? Just had quiet time with your thoughts? My pile of school stuff is getting taken care of. 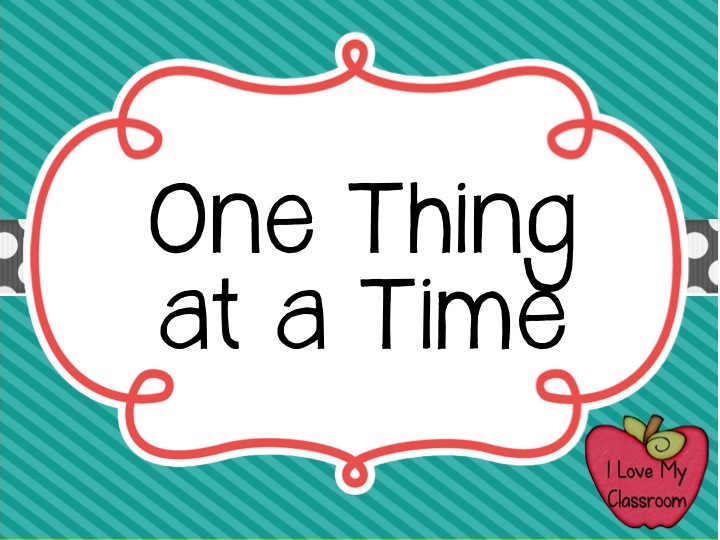 It would be easy for me to stress out about it, but I keep hearing my mother in my ear saying, "One Thing at a Time". What have you tackled today? What are you super proud that you accomplished? 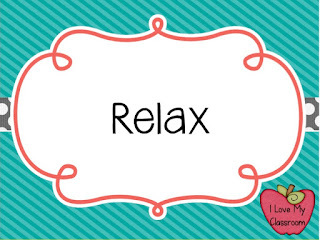 Have you relaxed today? Really relaxed? For most of us it's still summer. It might be your last day of summer, or maybe you still have weeks left. I'm heading to curl up to finally finish my book, or maybe I'll take a nap. I better not get too comfortable since I have a dentist appointment in 2 hours. :/ Have a great afternoon everyone! Good morning. I'm writing today as a mommy. No pin-able images, just me chatting. I was thinking the other day how different this summer has been from last summer. It's a good thing. Really! A lot can change in a year, and I'm so thankful. Last summer I had to deal with full blown temper tantrums numerous times a day. I had to give multiple time outs, my patience was really low, and my blood pressure was really high. My middle was 8 and he would act out constantly, sometimes hurting me or another person in the family. We thought it was him just being stubborn. We didn't understand how he was so different from my other 2, we were doing the same rewards/consequences with everyone and it just wasn't working. Last summer was the huge lightbulb moment. The fact that my little 4 year old would act more mature than my 8 year old was a big deal. I teach 4th. I know this age, and something was different. Then I had confirmation when a friend posted about her son. It was a Facebook message about how he was upset over a piece of chicken on his fork. We'd had that same temper tantrum over the same thing in my house. I learned about Oppositional Defiance Disorder. I learned about it and realized we needed help or we would end up with a teenager in jail. So we emailed the doctor in August. It was rushed through the proper channels and soon he was being retested for ADHD. I didn't think he had ADHD. I mean he had a hard time memorizing math facts, but he wouldn't get up and wander. He didn't seem to fit the picture I had in my mind. I didn't understand the correlation then, but ODD occurs in one out of 5 kids that have ADHD. He was diagnosed with ADHD in September and we chose to start medication. It was our choice. As a teacher I have seen the miracles that happen when students are able to focus. I was skeptical still whether or not he had ADHD. Honestly, I thought the doctors were wrong. BUT the medicine wouldn't have worked if it wasn't ADHD. His brain was running constantly, and the stimulate works opposite in kids with ADHD. It actually calms down their brains for them to be able to focus. We saw an immediate change. We started behavior therapy for the ODD portion of it. It was a family thing... we learned how my son's mind is like cobwebs and he's trying to focus through it. The medicine clears the cobwebs away. The doctors have said that the medicine doesn't do anything for the ODD part, but we've seen that when he's able to focus and reason, he doesn't get as frustrated so easily. Less frustration equals less meltdowns. We went to a ticket program in our home for half of last school year. He would earn his rewards. It was a way for him to be able to recognize all the rewards that he was taking for granted. He would have to "work" for them. Be a helper, earn a ticket. Take a shower, earn a ticket. Do your best on your homework, earn a ticket. Y'all know how much I dislike real tickets though, so I used ticket clip art to put 30 on a page and he would highlight them. The tickets added up into prizes - game time, watching a show, getting a McDonald's ice cream, etc. We were able to go from there to switching to "If you do this, then you can do that". That's where we are now. We've had regressions and have gone back to the tickets when we need to. He doesn't like them, but he likes the rewards he can earn. He will now go weeks between huge meltdowns. He will go days between time outs. He doesn't physically hurt us anymore. That's what I meant when I said that it's such a huge difference from one year to the next. I'm so thankful for all I've learned this year. I wish I had been taught more about ADHD years ago, so I could have seen the signs earlier. I wish I had been told how it's not just a focus thing, it's a brain thing. I wish I had understood so I could have helped my son earlier, so I could have helped my students better. Understanding is a gift. Thanks for listening to our story. A HUGE project from this past week was labeling up my student notebooks. Last year was the first year that I color coded the notebooks, and I honestly will NEVER go back. Last year I also made it harder than it needed to be when I added dividers to the inside pages. It went something like this: print labels, labels on index cards, trim cards, find page in notebook, glue card on correct page... x 165. TOO MUCH WORK! The index cards stayed in place on almost all the notebooks, but there were some kids... (you can fill in the dots yourself). *Social Studies and Science: No dividers (last year they shared a notebook), this year they have their own. *Reading Log: I don't have this in a composition book for this coming year. I need to be able to bring them home and a class set of composition books wasn't possible to lug back and forth. I'm taking a break from my glue gun and school crafts to show 2 products that are currently 50% off. 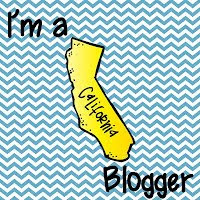 A disclaimer... it's all about California today! I have decided I like writing reading passages. Every year I teach these units, and every year I wish I could find Reading Passages that spoke about the men and women that my kids learn about. I finally decided to write them myself. These are the same format as each other. Passages, strategy grids, multiple choice, short answer, answer keys, thinking maps... everything I could think of to get my students to dive deeper. My own boys were my testers - we have gone over a lot of interesting facts over the past weeks. I personally am so thankful that I don't live back in the 1500's or even the 1700's. Some of it grossed me out! 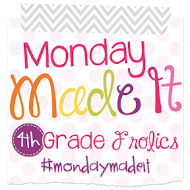 Monday Made It: My Week was a BIG One! It's Monday! 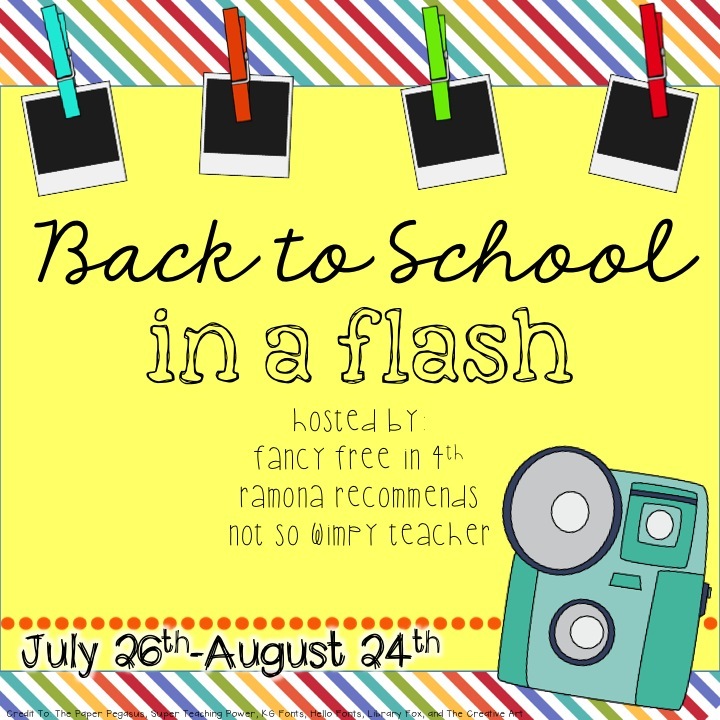 Linking up with Tara to share what's ready for school. My HUGE project from this past week was getting my students' notebooks ready to go - all 165 of them. In my grade level we collect supply donation money at the beginning of the year, and teachers get exactly what the students need. It's something that parents have really liked (which as a parent it's something I like too). So 165 composition notebooks later they are color coded, labeled, and there are dividers tucked inside (printed off on address labels and stuck on specific pages). DONE! I made up folders for my new Lit. groups. I know I have my Lit. 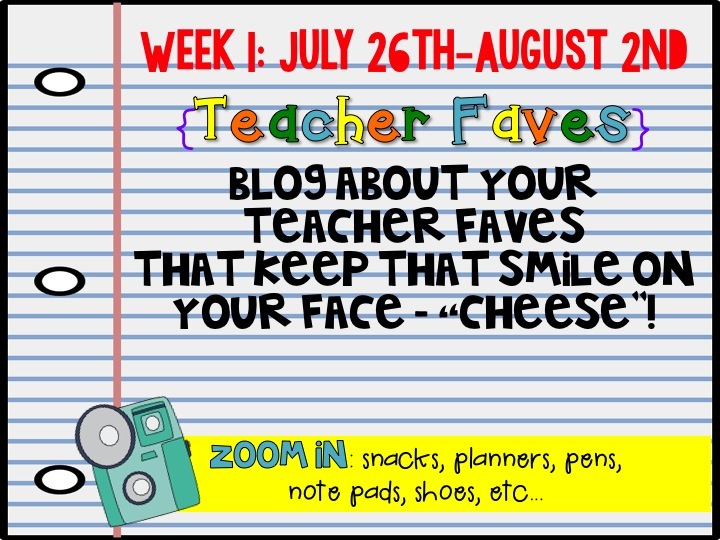 Buckets for discussion questions, but I also decided to have a writing portion too - so I made up one per group. They have the sheets from 4th Grade Frolics tucked inside. I figure that the groups will take turns writing on the specific portions during their time together, after discussion, and that the papers will stay in there for the entire time that we are tackling the novel. 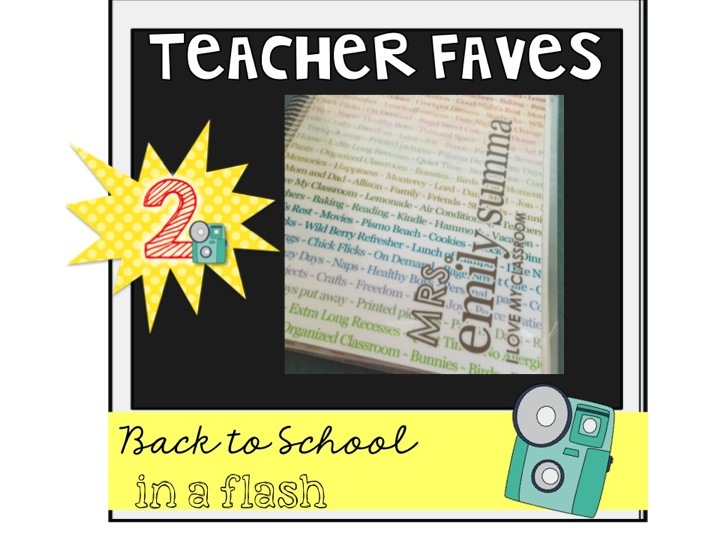 I did choose a bright color for the folder (I don't have any other orange folders in the classroom) so they can't go missing - at least not easily. 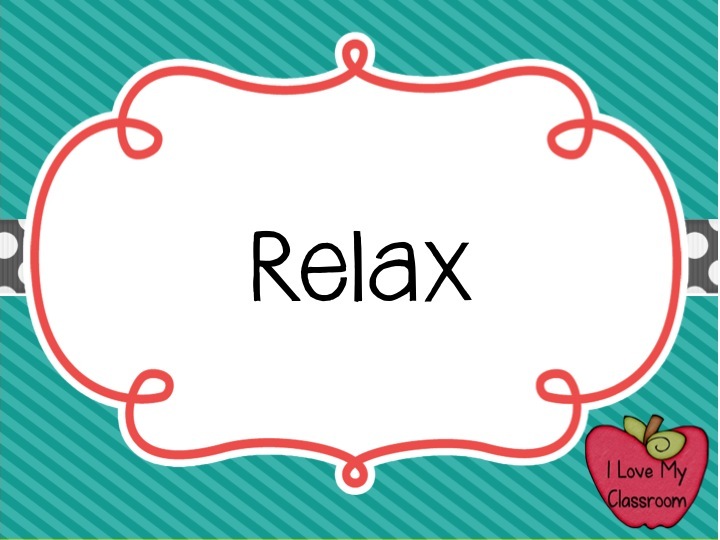 In case you missed it this weekend, I uploaded 2 new freebies over to my TPT Store. 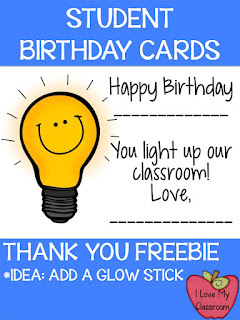 One are these birthday cards for students. I have glow sticks that I have tucked inside a jar for students to get on their special day. I printed them off on card stock (using the black & white version). 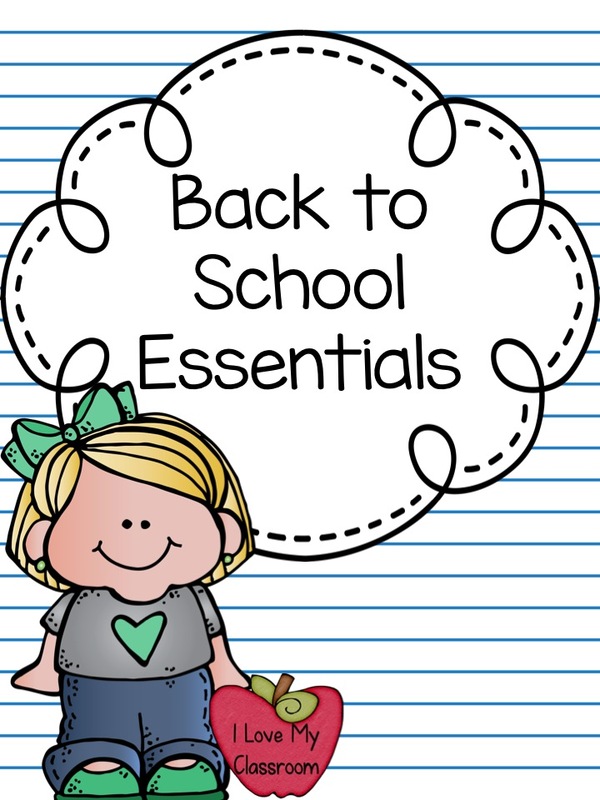 The other freebie is a collection of my favorite Back to School Essentials. I told all about them yesterday. :) Rainbow Edit, Whole Class Writing Journals, and Monthly Grammar Coloring Sheets. LOVE them! I had to make up more Tidy Tubs for my students. Every year I add a couple more bins to my class collection. It seems that every year I add more interactive notebook activities or paper projects, and need more of these tubs in circulation. The Dollar Store has this size in a 5 pack - which is awesome! 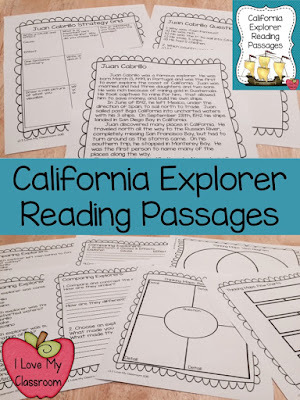 I also starting thinking about going deeper in my Social Studies, so I wrote up nonfiction passages about our California Explorers. This might be the closest I ever get to my childhood dream of being a children's author... 30 pages later it is complete! I uploaded it last night, and it's presently 50% off. School is starting to be on my brain ALOT! Only one week until I'm in Science trainings for the new standards. I need to finish all these projects! Have a super duper day! Two for Tuesday - All About Research!